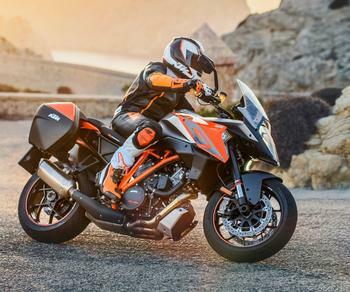 KTM North America is recalling 2,361 model year 2015-2016 1290 Super Duke R ABS, model year 2016 1290 Super Duke R SE ABS and 1290 Super Duke GT ABS and model year2017-2018 Super Duke R and1290 Super Duke GT motorcycles. The piston within the Brembo front brake master cylinder may fail. KTM will notify owners, and dealers will replace the piston with an aluminum one, free of charge. Owner's may contact KTM customer service at 1-888-985-6090.